From the soul of SUSHISAMBA comes the spirit of The Lounge. Swing by and soak up the sultry, late-night heat for the robata grill & sushi bar. Try our inventive cocktails and full sake bottle service. 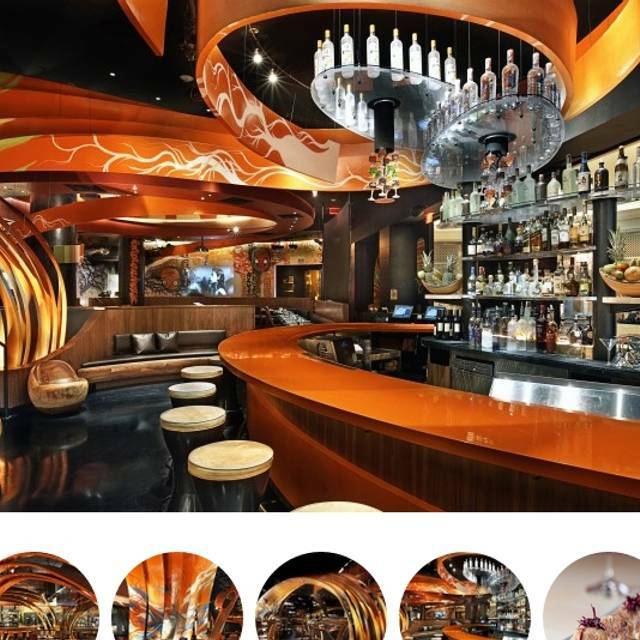 SUSHISAMBA Las Vegas' combination of creative, energetic design and critically-lauded dining is perfect for your next event. Our dedicated events team will work closely with you to design an unforgettable experience in our elegant space that best suits your needs and exceeds your expectations. 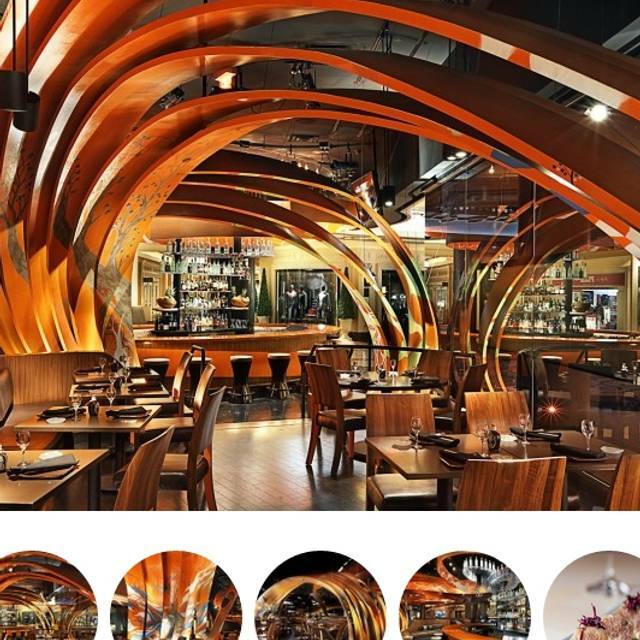 Only at SUSHISAMBA will you find a unique blend of Japanese, Brazilian and Peruvian cuisine, music and design. Hearty moquecas and colorful seviches are served alongside more inventive dishes, including Tuna Tataki and Wagyu Gyoza. Complementing the menu are signature cocktails made with exotic spirits such as shochu and cachaça and an acclaimed sake list, as well as wine, beer and champagne. Equal parts imagination and history, the SUSHISAMBA experience is truly unique. Amazing food. Great ambiance and service. Always a hit! Our go-to restaurant when in Vegas. Food is awesome and staff incredible! Thank you for taking the time to express how satisfied you were with your recent SUSHISAMBA experience. We are truly grateful to every one of our guests, and appreciate your patronage. We look forward to welcoming you back soon! Loved the food and the service was great! My husband and I loved the Huancaina fries and the anticucho. My 13 year old twins almost never wholly enjoy a restaurant outing, but last night at SushiSamba they were completely engrossed in the experience. We all love sushi and even pretend to know a bit about it. Every dish offered something delightful for one of us. In particular my favorites were the Uni special and the grilled Chilean Sea Bass. One of my kids did try the Uni and then make a funny face, but kudos on him for trying it. Thank you for your positive comments--it truly means the world to us! We value hearing from our guests on all fronts. We look forward to hosting you again soon! the food was awesome and the service was great! our family truly enjoyed ourselves and made two birthdays special. Very good service. Nice atmosphere. Everything was very good except the ramen...very bland, no flavor. The highlight of our meal was the Japanese Wagyu...Fun to cook on the hot rocks with all the salts, oils, and flavorings. Food was excellent, recommend grill stuff, Sushi is not as good as other places in Vegas. But this is a Brazilian + Japanese fusion place, exactly what I expected, all stuff by grill is very tasty. Amazing experience. The food was incredible, the seared wagyu is a must, the sea bass was the best fish I’ve ever had (waiter recommended) sushi is fantastic, desert was a joy. The service is impeccable and our waiter was perfect. I cannot wait to go back and eat here again. I’ll make it a must visit on every trip for the sea bass alone! It’s always a pleasure to hear positive feedback from satisfied guests about their visit to SUSHISAMBA. Thank you so much for sharing-we truly appreciate it! We look forward to your next visit! We loved the variety. Many options for the different tastes of our group. We went to Sushisamba for our pre-wedding dinner party. It was SO delicious that we went back the next night for our first date as a married couple. Everything was exceptional, from the food, to the host, to the bar, to the server, to the bussers, to the manager. He brought us champagne on the house on night 2! They made us feel so special and I'd eat there regularly if I lived in Vegas. I went with my two children 13 & 15 on our one night in Vegas. We had a variety of menu items - Wagyu beef gyoza, sashimi latter, ramen, various Robata, and desserts. Everything was delicious and Emi was a wonderful server. We would definitely go back. My fiancé and I make a special trip to Las Vegas a few times a year just to come have dinner here. 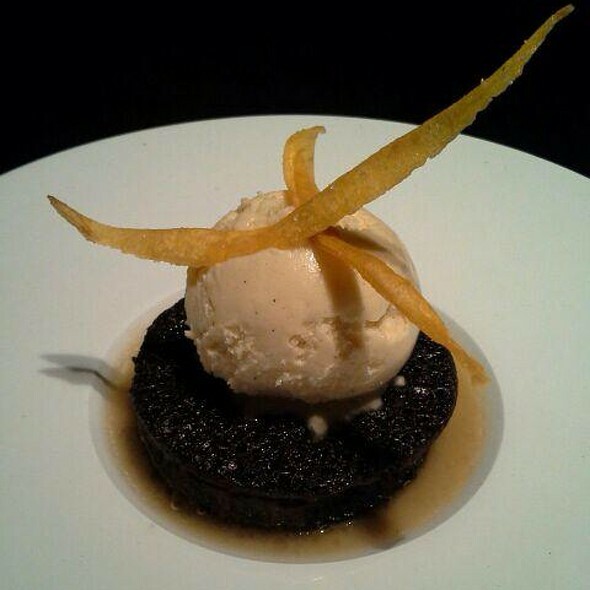 The service is always impeccable, the food is truly amazing, and the atmosphere is so fun and lively! Love the food and this is my favorite restaurant in Vegas. The experience option at $60 per person is amazing. They check your allergies and likes/dislikes and then magically bring out food. I went back to back nights with customers. The only negative is it is loud and difficult for conversation. What a great review - thank you so much for sharing the details of the positive experience you had at SUSHISAMBA. Your input means the world to us-we look forward to seeing you again soon! As always, the food was delicious, and they were very attentive to accommodating my gluten-free needs as a diner with Celiac. Our service at first was wonderful, but dropped off after we indicated that we weren't interested in alcohol; two of the entrees were brought out, and those individuals had time to slowly finish them (chicken teriyaki and vegetable tempura) before the rest of our entrees arrived (various sushi rolls). The 10ish minute delay was rather awkward as ALL of us noticed it. As noted, the food was delicious, and they even came out with a gluten-free birthday treat at the end. We had to wait 40 (!) minutes until our table was ready. The waiter was unattentive and the service literally took our plates while we were still earing and started to wipe the table with a filthy cloth. On behalf of the team at SUSHISAMBA, we extend the sincerest of apologies for your experience and we would be grateful for the chance to connect with you. Drinks took a bit to long to arrive and it was very noisy but further than that, it was again a great experience. Best Sushi restaurant in Vegas. The food is unique and amazing. The staff is excellent. The culinary and management teams are delighted to read about the "amazing" service and cuisine that you experienced during your visit. We're truly grateful for your feedback and we appreciate that you chose to celebrate with us! I have walked by this restaurant no less than 30 times and always assumed it was a fast food sushi spot. Oh My was I wrong! The meal I enjoyed today was inventive, well prepared, expertly served and in a word—amazing! Do yourself a favor and do Not pass by this gem! Twice this week! Do the tasting menu - the flavors are outstanding. Great place to take and impress customers. Food and service was amazing. Definitely coming back and bringing friends! The staff was amazing as was the food. Chilean sea bass was delicious and the green tea crunch bar was amazing. 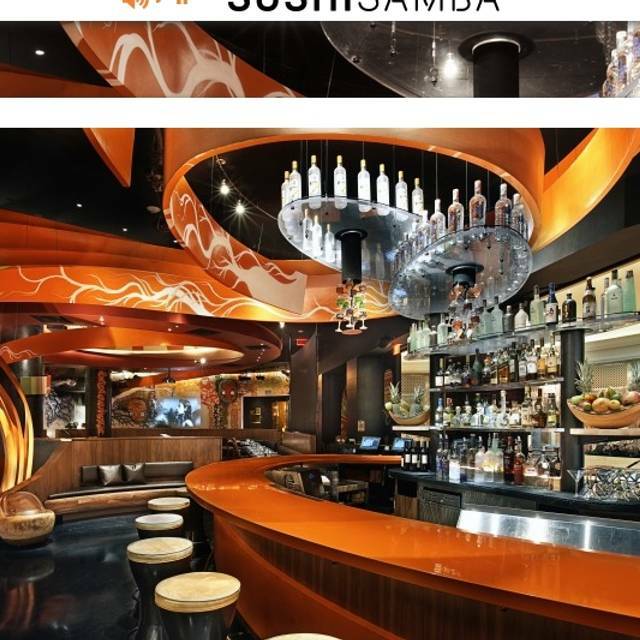 I make it a point to go to Sushi Samba every time I'm in Las Vegas. I love the family style share plates, we always have the server order for us. It's more than a meal, it's an experience. Just tell them the tables likes and dislikes, what you'd like to spend per person, then sit back and wait for the food to come! Simon did a great job bringing variety to our table. 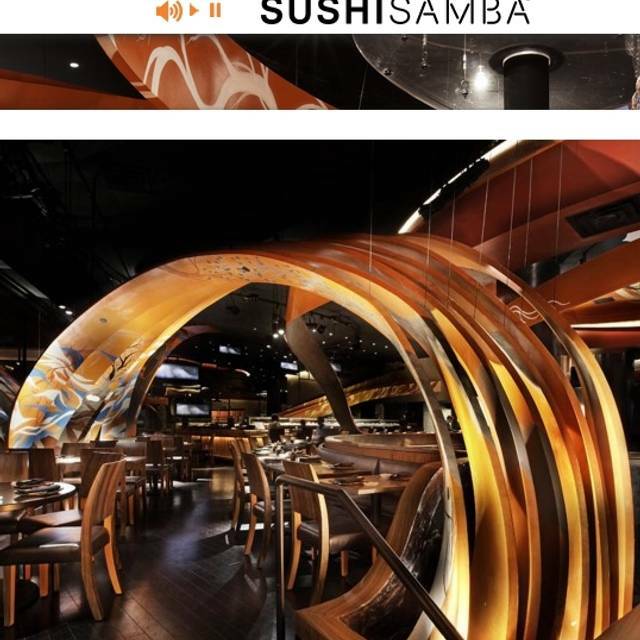 My taste buds are dancing and singing every time I visit Sushi Samba. My favorite item is the sea bass skewers. Thank you for taking the time to express how satisfied you were with your recent SUSHISAMBA experience. We are truly grateful to every one of our guests and appreciate your patronage. We look forward to welcoming you back soon! Excellent service and very good food. I personally will be back! Please accept our sincere apologies: We can assure you that your experience is far from the level of excellence we strive to provide every day. Great!!! Everything was very good!! The goyzo and donuts outstanding!! Wonderful! Fish was very fresh! Great food and atmosphere. Restaurant was very busy but service still good. Only minor complaint is that it is unnecessarily dark. The ambience was great. The service was professional, prompt and attentive. They made recommendations and explained every food they served. The food was excellent. Highly recommended. Incredible!!! Every dish melted in our mouth and absolutely WOWED us!!! Wagyu dumplings, Chilean sea bass, sushi tacos, crunchy scallops, just all Amazing!! The food was so good when we visited on Friday, we went back again on Saturday. The Crispy Hokkaido Scallop, Rock Shrimp Tempura and Alaskan King Crab Tempura were all fantastic. Will definitely visit again. The waiter gave great suggestions and was always there when we needed something.